SDK-002 76184692 Hitotsu-Me Giant Beast-Warrior EARTH 4 1200 1000 A one-eyed behemoth with thick, powerful arms made for delivering punishing blows. SDK-003 15303296 Ryu-Kishin Fiend DARK 3 1000 500 A very elusive creature that looks like a harmless statue until it attacks. SDK-004 06285791 The Wicked Worm Beast Beast/Effect EARTH 3 1400 700 This card is returned to your hand at the end of your turn. SDK-005 05053103 Battle Ox Beast-Warrior EARTH 4 1700 1000 A monster with tremendous power, it destroys enemies with a swing of its axe. SDK-006 67724379 Koumori Dragon Dragon DARK 4 1500 1200 A vicious, fire-breathing dragon whose wicked flame corrupts the souls of its victims. SDK-007 30113682 Judge Man Warrior EARTH 6 2200 1500 This club-wielding warrior battles to the end and will never surrender. SDK-008 91939608 Rogue Doll Spellcaster LIGHT 4 1600 1000 A deadly doll gifted with mystical power, it is particularly powerful when attacking against dark forces. SDK-009 01184620 Kojikocy Warrior EARTH 4 1500 1200 A man-hunter with powerful arms that can crush boulders. SDK-010 01784619 Uraby Dinosaur EARTH 4 1500 800 Fast on its feet, this dinosaur rips enemies to shreds with its sharp claws. SDK-011 31122090 Gyakutenno Megami Fairy LIGHT 6 1800 2000 This fairy uses her mystical power to protect the weak and provide spiritual support. SDK-012 68516705 Mystic Horseman Beast EARTH 4 1300 1550 Half man and half horse, this monster is known for its extreme speed. SDK-013 63308047 Terra the Terrible Fiend DARK 4 1200 1300 Known as a swamp dweller, this creature is a minion of the dark forces. SDK-014 89494469 Dark Titan of Terror Fiend DARK 4 1300 1100 A fiend said to dwell in the world of dreams, it attacks enemies in their sleep. SDK-015 41949033 Dark Assassin Zombie DARK 4 1200 1200 Armed with the Psycho Sword, this sinister assassin rules the bad land. SDK-016 75499502 Master & Expert Beast EARTH 4 1200 1000 A deadly duo consisting of a beast master and its loyal servant. SDK-017 97360116 Unknown Warrior of Fiend Warrior DARK 3 1000 500 The speed of this warrior creates an intense vacuum that can slice through a monster's hide. SDK-018 47060154 Mystic Clown Fiend DARK 4 1500 1000 Nothing can stop the mad attack of this powerful creature. SDK-019 45121025 Ogre of the Black Shadow Beast-Warrior EARTH 4 1200 1400 An ogre possessed by the powers of the dark. Few can withstand its rapid charge. SDK-020 04614116 Dark Energy Magic Card MAGIC EQUIP A Fiend-Type monster equipped with this card increases its ATK and DEF by 300 points. SDK-021 98374133 Invigoration Magic Card MAGIC EQUIP An EARTH monster equipped with this card increases its ATK by 400 points and decreases its DEF by 200 points. SDK-022 53129443 Dark Hole Magic Card MAGIC Destroys all monsters on the field. SDK-023 19523799 Ookazi Magic Card MAGIC Inflict 800 points of Direct Damage to your opponent's Life Points. SDK-024 24611934 Ryu-Kishin Powered Fiend DARK 4 1600 1200 A gargoyle enhanced by the powers of darkness. Very sharp talons make it a worthy opponent. SDK-025 50005633 Swordstalker Warrior DARK 6 2000 1600 A monster formed by the vengeful souls of those who passed away in battle. SDK-026 97590747 La Jinn the Mystical Genie of the Lamp Fiend DARK 4 1800 1000 A genie of the lamp that's at the beck and call of its master. SDK-027 26378150 Rude Kaiser BeastーWarrior EARTH 5 1800 1600 With an axe in each hand, this monster delivers heavy damage. SDK-028 73481154 Destroyer Golem Rock EARTH 4 1500 1000 A golem with a massive right hand for crushing its victims. SDK-029 10202894 Skull Red Bird Winged Beast WIND 4 1550 1200 This monster swoops down and attacks with a rain of knives stored in its wings. SDK-030 81057959 D. Human Warrior EARTH 4 1300 1100 Gifted with the power of dragons, this warrior wields a sword created from a dragon's fang. SDK-031 21263083 Pale Beast Beast EARTH 4 1500 1200 With skin tinged a bluish-white, this strange creature is a fearsome sight to behold. SDK-032 66788016 Fissure Magic Card MAGIC Destroys 1 face-up monster with the lowest ATK. SDK-033 04206964 Trap Hole Trap Card TRAP If the ATK of a monster summoned by your opponent (excluding Special Summon) is 1000 points or more, the monster is destroyed. SDK-034 83887306 Two-Pronged Attack Trap Card TRAP Select and destroy 2 of your monsters and 1 of your opponent's monsters. SDK-035 19159413 De-Spell Magic Card MAGIC Destroys 1 Magic Card on the field. If this card's target is face-down, flip it face-up. If the card is a Magic Card, it is destroyed. If not, it is returned to its face-down position. The flipped card is not activated. SDK-036 83764718 Monster Reborn Magic Card MAGIC Select 1 Monster Card from either your opponent's or your own Graveyard and place it on the field under your control in Attack or Defense Position (face-up). This is considered a Special Summon. SDK-037 81820689 The Inexperienced Spy Magic Card MAGIC Select and see 1card in your opponent's hand. SDK-038 17814387 Reinforcements Trap Card TRAP Increase a selected monster's ATK by 500 points during the turn this card is activated. SDK-039 17092736 Ancient Telescope Magic Card MAGIC See the top 5 cards of your opponent's Deck. Return the cards to the Deck in the same order. SDK-040 24068492 Just Desserts Trap Card TRAP Inflict 500 points of Direct Damage to your opponent's Life Points for each monster your opponent has on the field. SDK-043 54098121 Mysterious Puppeteer Warrior/Effect EARTH 4 1000 1500 When the monster is summoned (excluding Special Summon) or flipped face-up by attack or some effect, the Life Points of this card's owner increase by 500 points for each monster while this card is face-up on the field. SDK-044 46461247 Trap Master Warrior/Effect EARTH 3 500 1100 FLIP: Destroys 1 Trap Card on the field. If this card's target is face-down, flip it face-up. If the card is a Trap Card, it is destroyed. If not, it is returned to its face-down position. The flipped card is not activated. SDK-045 86318356 Sogen Magic Card MAGIC FIELD Increases the ATK and DEF of all Beast-Warrior and Warrior-Type monsters by 200 points. SDK-046 07089711 Hane-Hane Beast/Effect EARTH 2 450 500 FLIP: Select 1 Monster Card on the field (regardless of position) and return it to its owner's hand. SDK-047 77622396 Reverse Trap Trap Card TRAP All increases and decreases to ATK and DEF are reversed for the turn in which this card is activated. SDK-048 51482758 Remove Trap Magic Card MAGIC Destroys 1 face-up Trap Card on the field. 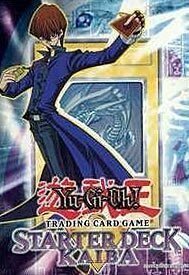 SDK-049 44209392 Castle Walls Trap Card TRAP Increase a selected monster's DEF by 500 points during the turn this card is activated. SDK-050 80604091 Ultimate Offering Trap Card TRAP CONTINUOUS At the cost of 500 Life Points per monster, a player is allowed an extra Normal Summon, Tribute Summon, or Set.